In our series on Abundance Fantasies we explore how we can activate our deeply rooted desire for abundance, codified within our language, our myths and religions, to initiate the desire to shrink. There’s an unmistakable relationship between fundamental human desire for abundance and how this desire was appropriated and canonised within religious stories. According to the Pew Research Center Guatemalans have the highest rate of believers that faith reaps success. In the small Guatemalan village of Almolonga the recruitment to become an evangelical christian and the promise of abundance go hand in hand. 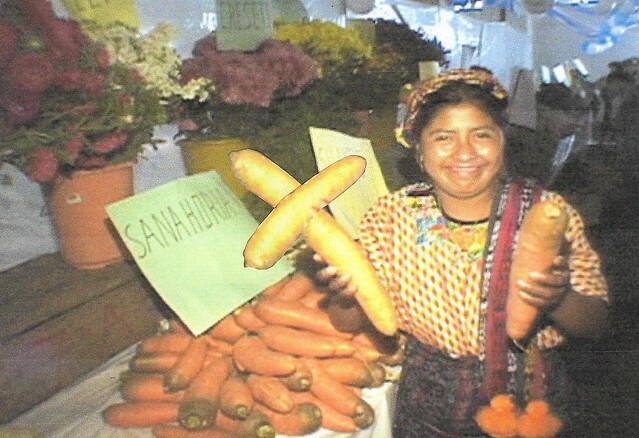 According to its mayor Siquiná Yac, Almolonga’s giant carrots are the manifestation and proof of the prosperity gospel that faith can bring material reward. God is in the carrot. Is humanity’s destructive relationship with abundance, defined by its readiness to sacrifice the longterm health of the planet, the result of the subconscious need for divine comfort?